Classical Brit-nominated score for the award-winning film starring Judi Dench and Maggie Smith, performed by Joshua Bell with the Royal Philharmonic Orchestra. 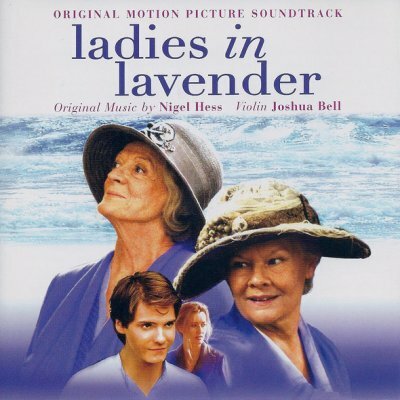 Ladies in Lavender has featured for many consecutive years in Classic FM's Hall of Fame (their top 300 tracks voted for by listeners), and in their 2011 Movie Music Chart the score was voted number 9 in a list of the 101 most popular movie soundtracks. "Composer Nigel Hess does a first-rate job with an orchestral concert that highlights Andrea's Heifetz-like talent..."
"A stirring score by Nigel Hess..."
"This music will be around long after the film has disappeared."